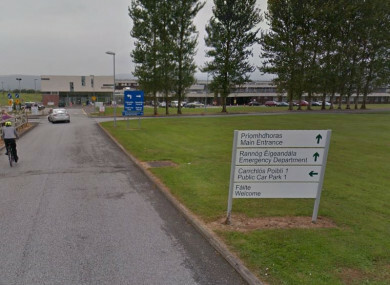 There were at least three cases where there was a delayed diagnosis of cancer at University Hospital Kerry in the summer. A HELPLINE FOR patients concerned over a mass review of scans at University Hospital Kerry opened at 9am this morning. Yesterday, the hospital confirmed that a review is being carried out on 46,000 x-rays, cat scans and ultrasounds after a number of concerns were raised during the summer. That helpline will be open from 9am to 5am, and will operate from Monday to Friday. It can be reached on 1800 742 900. In those cases during the summer it involved a delayed diagnosis of cancer, the hospital’s clinical director Dr Claire O’Brien told RTÉ’s Morning Ireland. She did add, however, that of the 18,000 images they’ve reviewed so far, no other cases of cancer had been missed. “The full review began in October,” Dr O’Brien said. “We didn’t want to cause unnecessary concern for patients. Our feeling was the numbers that would require recall were going to be quite small. It was decided we didn’t want to cause undue alarm for patients that needn’t worry. She said that the radiology department was safe, and that the failures identified were not a resource issue but related to one staff member who has since left the hospital. Speaking earlier on Morning Ireland, however, Siptu health division organiser Paul Bell said that radiographers had raised concerns about the department to management in November 2016. Bell also said that staffing levels were inadequate in the department. He said: “The concerns of our members are being ignored, even though there’s now an independent report that confirms a number of these concerns are bona fide and need to be addressed. Management have chosen, for the last 12 months, to ignore the fact that they need to engage. This requires urgent action. Email “Patient helpline opens after mass review of scans at Kerry hospital”. Feedback on “Patient helpline opens after mass review of scans at Kerry hospital”.